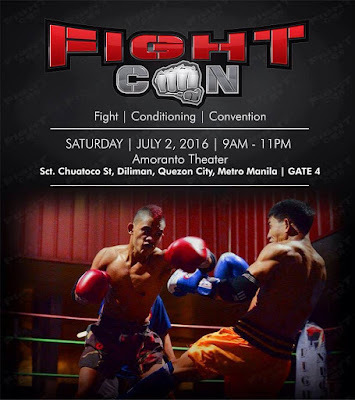 FightCon, the very first Fight Conditioning Convention in the Philippines, will be held in Manila -- at Amoranto Theater (Gate 4) at Sct. Chuatoco St., Diliman, Quezon City, on July 2, 2016. 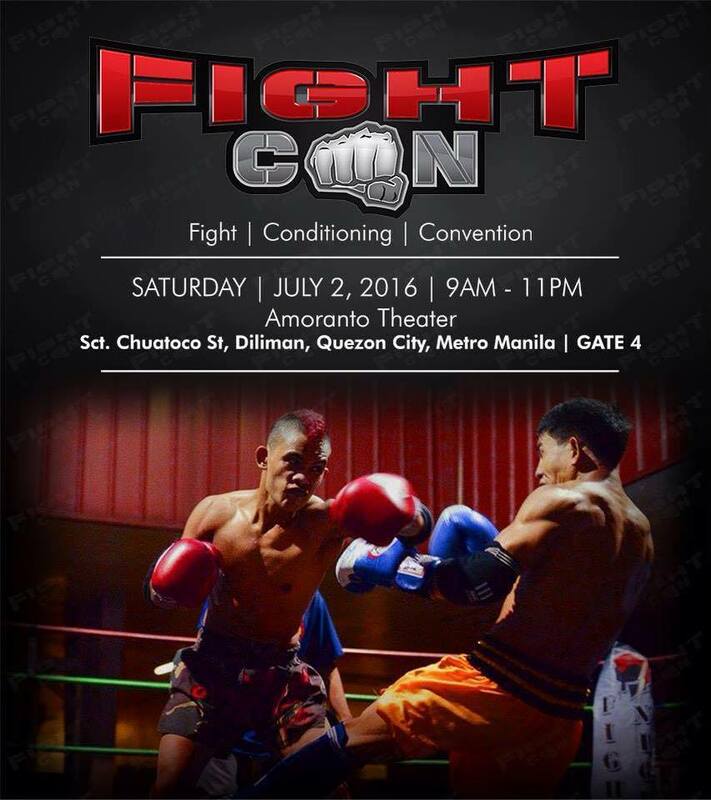 It is where local fighters compete to earn their spot in the full-contact sport scene. You can buy the tickets onsite for only Php500.00 on July 2, 2016 at Amoranto Theater. 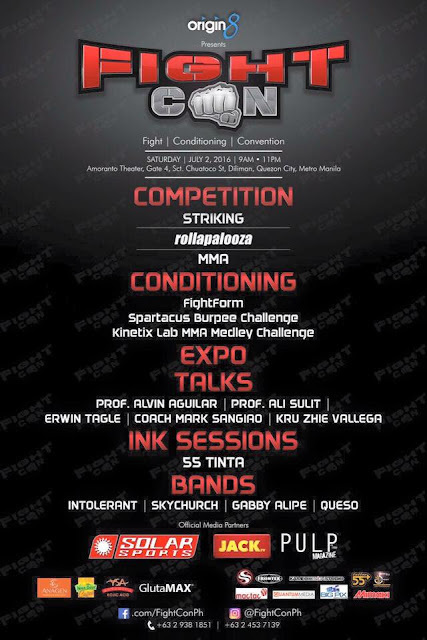 Or reserve tickets through private message on their Facebook Page: Facebook.com/FightConPH and Instragram account: @fightconph and get more info as well. FightCon is brought to you by Origin8 Inc., one of the leading event management and below-the-line agencies.